Quality Sewing had their monthly “Sew Fun” infomercial program today. I enjoy going because quite often I get ideas. And sometimes I humor them by buying something, or is it that they have something that really captivates my interest? Today’s program included a “Basket Magic” pattern which was interesting in that it is somewhat rigid, but sports a tie at each end so it can be stored flat. 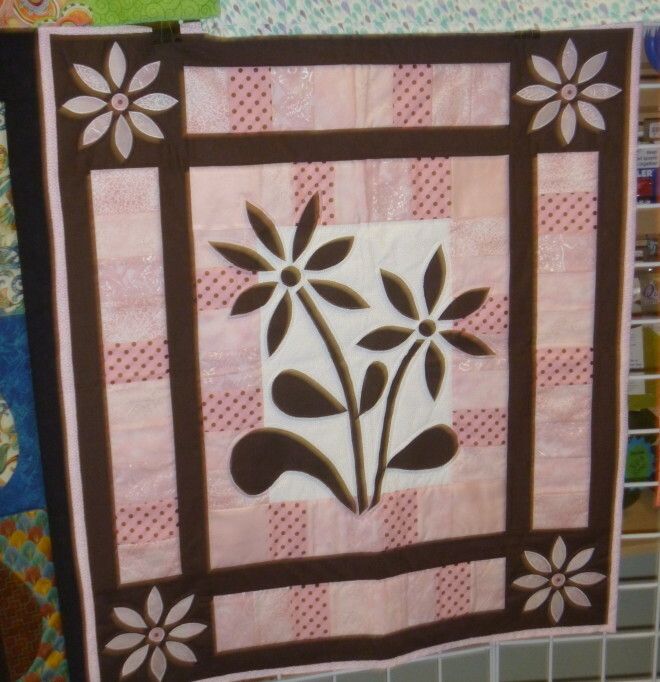 The pattern has both oblong and round shapes. 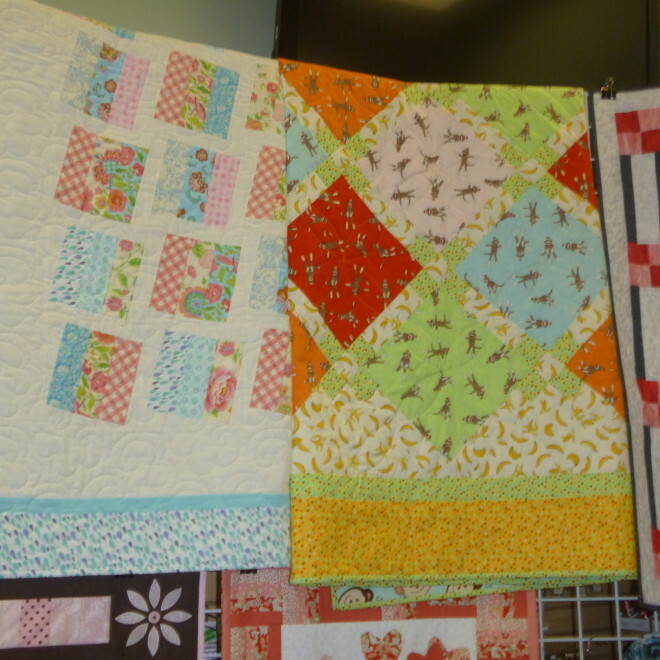 These were samples made from a book called “City Blocks” by Nancy Rink. 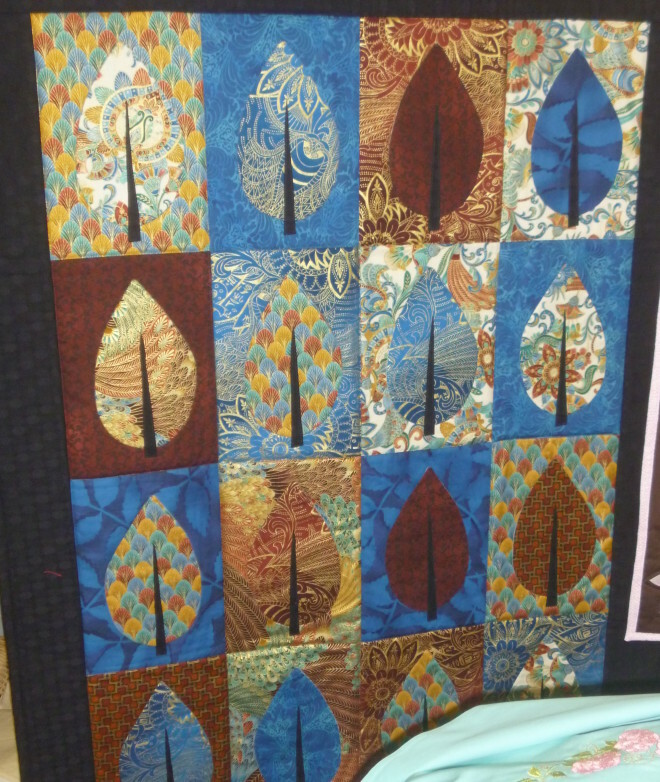 It has patterns for 10 easy quilts both blocks and applique` I’m not sure the size of the quilts in the book, but the ones on display were about 45″ quilts. The Zinnia Clutch Bag from Susa Glenn was a nice size for keeping essentials. It had two larger pockets and 4 mini pockets. 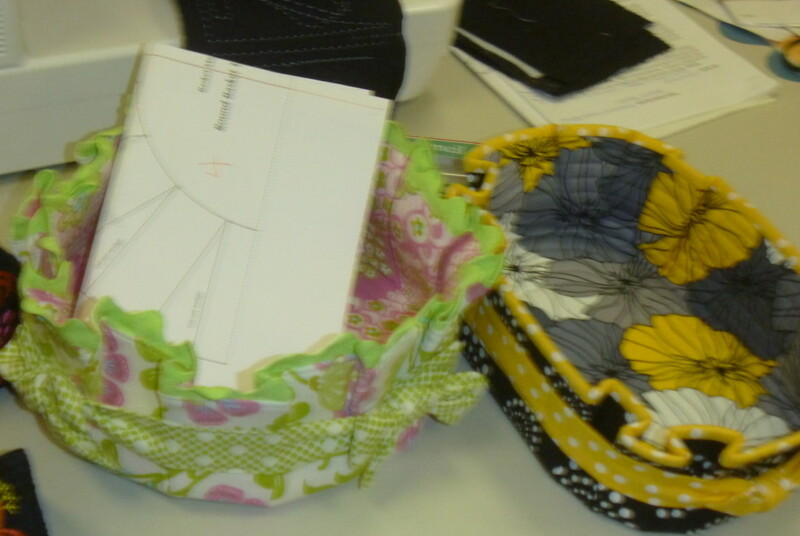 This pattern includes patterns for eye glasses, a card case, and a checkbook holder. It majors in machine embroidery, with minimal sewing machine work. Islander Sewing Systems sported a terrific looking “Jacket Express” pattern. I really liked this one. It’s a blue jean jacket, but the samples were not done in denim. This company has a lot of commercial experience, so the instructions for putting the jacket together are more like a commercial one would be sewn. “Ice chips“ do not contain sugar but do contain xylitol so diabetics can use them. They are great for refreshing the mouth and come in 26 different flavors. 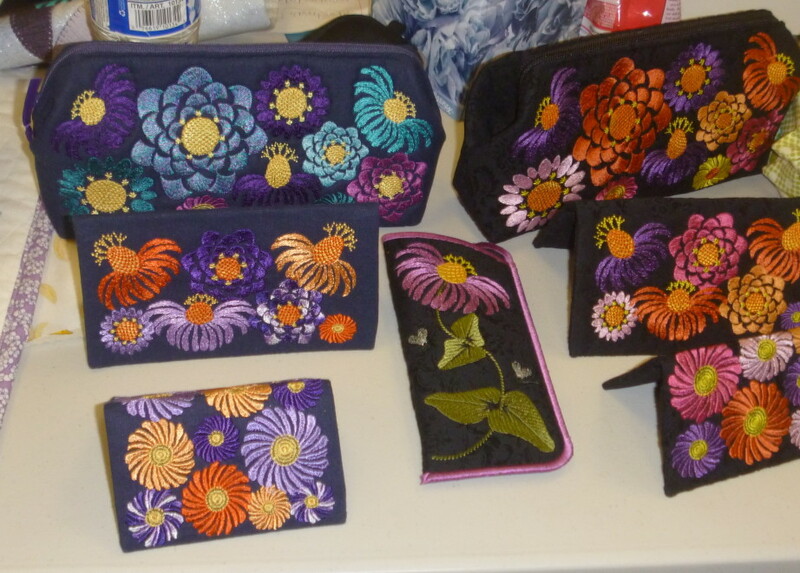 These were made by two grandmothers in Yelm, Western WA. who had a good business going when they got the opportunity to be on Shark Tank. Then their business REALLY took off. Even if the candies do not appeal to you, click “ice chips” in red and read their fascinating story.